Another innovative product by the aesthetic experts at Cynosure, SculpSure® uses advanced laser technologies to heat and melt away fat cells, allowing your body to flush them away naturally. This non-invasive procedure is ideal for those with stubborn love handles, fat deposits on lower or upper stomach areas and flab on upper arms. The professional technicians at AVAmedica can provide you with SculpSure® procedures designed to contour your body and allow you to look your very best every day. Fat cells can build up in problem areas and can be nearly impossible to eliminate. The SculpSure® aesthetic work center delivers targeted light to disrupt fat cells and render them incapable of maintaining their function. The fat cells treated through this system are destroyed rather than simply diminished in size by the SculpSure® system. Over the course of six to 12 weeks, these disrupted fat cells are naturally flushed away to leave behind a smoother, sleeker silhouette. SculpSure® is the first laser treatment for lipolysis to be cleared by the U.S. Food and Drug Administration and has been proven to be safe and effective for patients. What Areas Can Be Treated with SculpSure®? Excess fat on the abdomen, thighs, hips, back, upper arms, and buttocks can easily and effectively be treated with the SculpSure® system. Depending on the degree of fat removal you need, you may require multiple treatments to ensure the best possible results. The experts at AVAmedica can assess your problem areas and provide you with the best guidance in the industry. 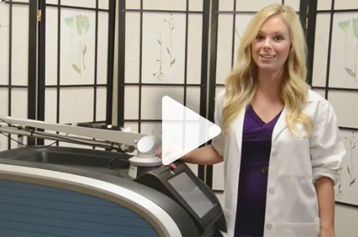 What Should I Expect During and After my SculpSure® Procedure? Before your SculpSure® treatments, our aestheticians will discuss the likely results, the cost and the long-term effects of this advanced and innovative solution for excess fat. If multiple treatments are required to achieve the best results, the experts at AVAmedica will work with you to create an enhancement plan that suits your needs and your budget perfectly. Most patients experience little or no discomfort during the procedure and can return to their regular activities immediately after they complete their treatments. If you are interested in eliminating stubborn fat and looking your best every day, call AVAmedica at 646-588-0888. We look forward to the chance to serve all your cosmetic enhancement needs.